We are pleased to welcome Andy Scott back to host another JazzSmart Workshop in April this year. Andy teaches at The Royal Northern College of Music in Manchester as well as being a fantastic Saxophonist and Composer too! Some of you may already be playing his compositions and arrangements for your ABRSM Graded Exams. 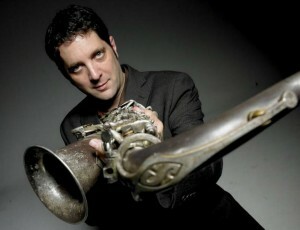 He also runs “Sax Assault” and is a founding member of the Apollo Saxophone Quartet. This years course will focus on ensemble playing and there will be chance to improve your solo playing too. Andy will talk about appropriate mouthpiece setups for classical music and more contemporary work as well. This course is targeted at Saxophone players in general and aims to improve your overall playing and ability whether you are a Jazz or Classical musician. We will be rehearsing and performing some of Andys compositions and arrangements for Sax Quartet as well as larger Saxophone ensemble arrangements. 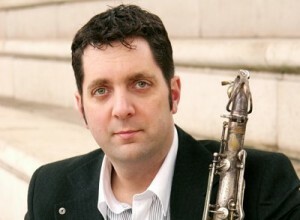 Andy will be joined by local Saxophonist and Teacher James Rawlinson who will be helping out over the 2 days. There will also be a Jam session in the evening to satisfy your jazzier side if the mood takes you. Workshops run daily 10:00am-4:30pm Saturday & Sunday. Entry requirements flexible, but as a general rule Grade 4 and above sight-reading ability (or relevant experience) is recommended. Don’t miss this opportunity to learn from one of the UK’s respected and passionate saxophonists, composers and all round nice guy! If you have questions about the workshop including course content in relation to your current playing ability just ask and we’ll be happy to discuss it further with you. Telephone (07708) 091675 or info@jazzsmart.com to book or for more details.